DS Painting in Bude offers you a professional painting & decorating services for all aspects of the decorating trade from interior to exterior, catering for both domestic & commercial clients. 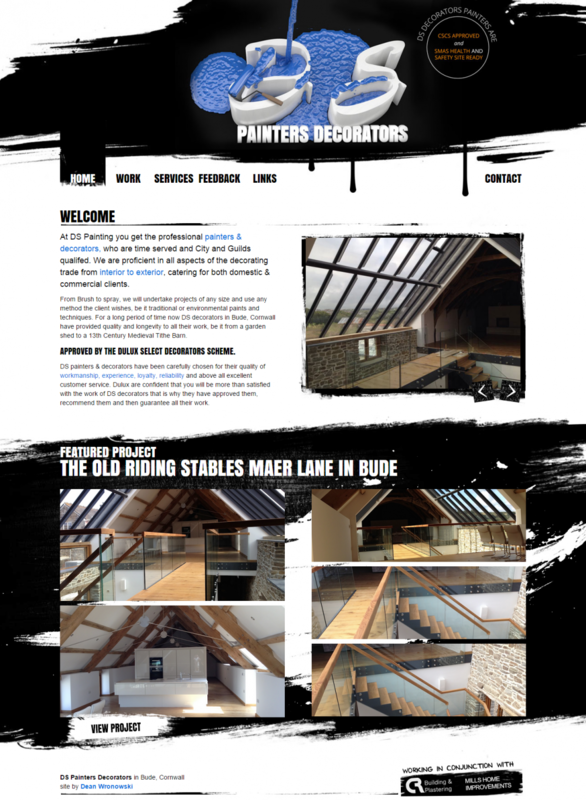 From the start the website design had to utilise the branding colours from DS Painting and Decorating of black and blue. With this in mind, coupled with the fact I wanted to experiment, I decided to use black and a lot of painting (splat) effects throughout the website. This meant I could achieve a clean, fresh and easy to use website. Whilst also impacting visitors to the website. Tooooo much fun.